Like we’ve mentioned already, #HomebrewCon was a BLAST! Meeting homebrewers from all over was fantastic and today’s guest was a real treat. 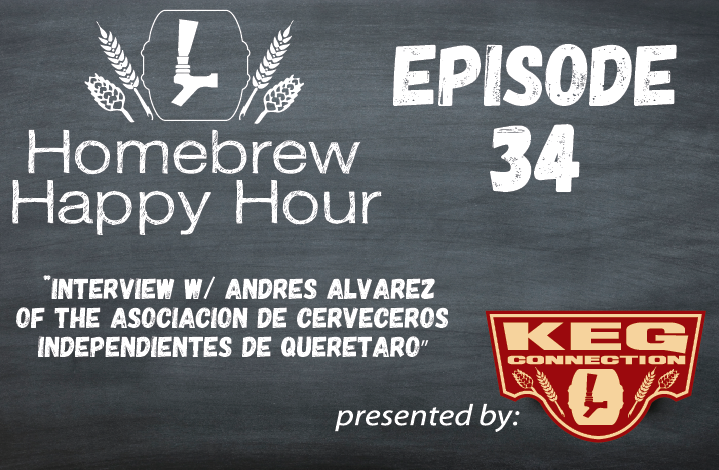 Andrés Álvarez is the Chief Fermentation Officer for the Asociación de Cerveceros Independientes de Querétaro A.C.
We met Andrés while waiting in line to taste beer on the tradeshow floor. In case you haven’t noticed, we’re very socially awkward so we’re glad that Andrés took the initiative to talk to us while waiting because it turned out to be an amazing conversation and we knew we had to have him on the show to help showcase what he is doing down there in Mexico. We hope you enjoy this conversation as much as did and, as always, If you have a question that you’d like us to discuss on a future episode, please click on the “Submit a Question” link at the top of the page!